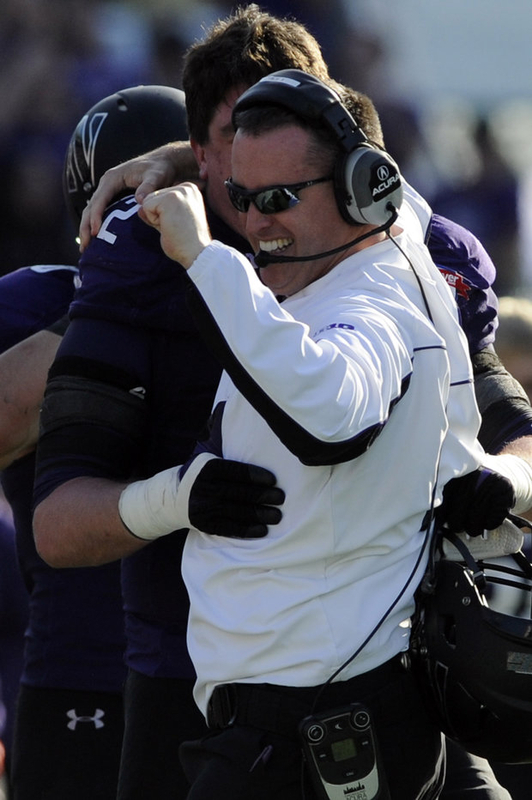 After 63 years, head coach Pat Fitzgerald Northwestern claims a bowl win. NU coach Pat Fitzgerald finally wins a bowl game. 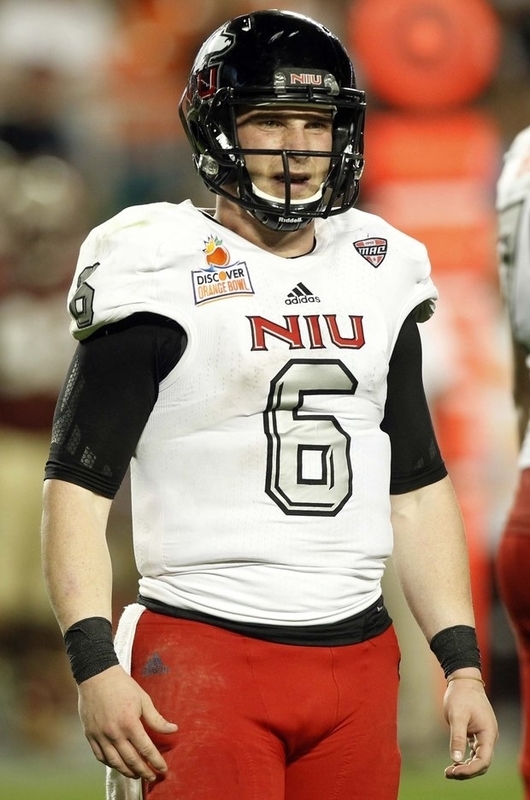 NIU quarterback Jordan Lynch was limited in the Orange Bowl. They are still dancing in the streets of Evanston after #20 Northwestern started the New Year with a bang, and in DeKalb it was a tough cold night as Northern Illinois University succumbed 31-10 to the bigger and more talented Florida State University. You can now count on two fingers how many college football bowl games Northwestern University has won in school history. The last one was the 1949 Rose Bowl and yesterday it was a 34-20 win over Mississippi State to take the Gator Bowl crown. Coach Pat Fitzgerald&apos;s defense was the stars of the game played in Tallahassee, Florida. They nabbed four interceptions, Quentin Williams pick was the third play of the game. Williams returned it for a 29 yard touchdown. Several milestones were reached by Wildcat coach Pat Fitzgerald, this team posted its third ten win season finishing 10-3, and Fitzgerald’s 50-39 record, gives him the honor of the most wins for a NU head coach. They were the only Big Ten to post a bowl win on New Year’s Day. This year Northwestern knocked off two SEC schools this season -- besides Mississippi State, they beat Vanderbilt. Northern Illinois heard it for weeks; they were too small and not as athletic as their Orange Bowl opponent Florida State University. NIU coach Rod Carey went for an onside kick, which the Huskies recovered. There was a sense that they had some momentum, however, Lynch threw a crucial interception and from that point the Seminoles seized control of the game. In the trenches, on both offense and defense, Florida State dominated the tenacious Huskies. FSU flexed its muscles behind their quarterback EJ Manuel, guiding them to two easy touchdowns. Once the Seminoles built their 21 point cushion, their defense just overpowered Lynch and the Huskie offense. It is a tough loss for Northern Illinois in this BCS match-up, but they can come away with some positives: The Huskies are a young team and the spotlight of this game will help in future recruiting. But there will be many critics still crowing that the Huskies didn’t belong in this contest. The Midwest has one more story to complete the college football bowl season---the National Championship in Miami between #1 Notre Dame and #2 Alabama. This could be a really dandy. There was one more bowl game that that I saw up close and personal on New Year’s Day: the Outback Bowl in Tampa, Florida. It was a wild game with big plays as South Carolina outlasted Michigan 33-28. You may be wondering why this is even mentioned—there was a personal interest for me. My son’s school, Fremd High School of Palatine, had their marching band participate in the halftime show with seventeen other schools from around the country. On Friday, I will blog about the experience and how my views on bowl games have a newer perspective. It was my first time covering a bowl game and it was quite the experience, coupled with one of the more exciting games this season.